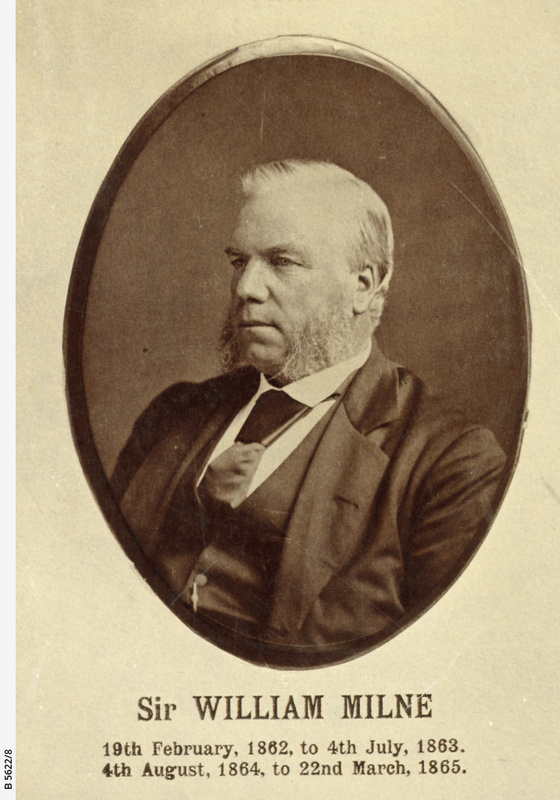 Portrait of Sir William Milne, Commissioner of Public Works of South Australia from 19 February 1862 to 4 July 1863, 4 August 1864 to 22 March 1865. One of 37 portraits making up a composite of South Australian Commissioners of Public Works. To see the complete composite do a number search on B 5622.